Which of the views below best describes how you feel about conflict? A. I avoid it. At any cost. B. Bring it on, conflict gets my blood flowing! C. It’s a normal part of life. D. What conflict? I’m fine. No matter what your own personal style, by now you’ve had a lifetime to explore different ways of addressing, resolving, and preventing conflict. But college students often lack the tools and experience necessary to successfully do the same. Parents who’d like to help their students learn and practice healthy conflict resolution have an ally in Student Life – it’s the Office of Student Conflict Resolution (OSCR). OSCR (pronounced Oscar) offers Michigan students a variety of tools for some of the most common conflicts on campus – many of which include lifestyle differences between roommates around cleanliness or quiet hours. What sounds like a relatively minor dispute about shared living space can escalate quickly; students who balance busy schedules and stressful classes need to be able to come home to recharge and relax. 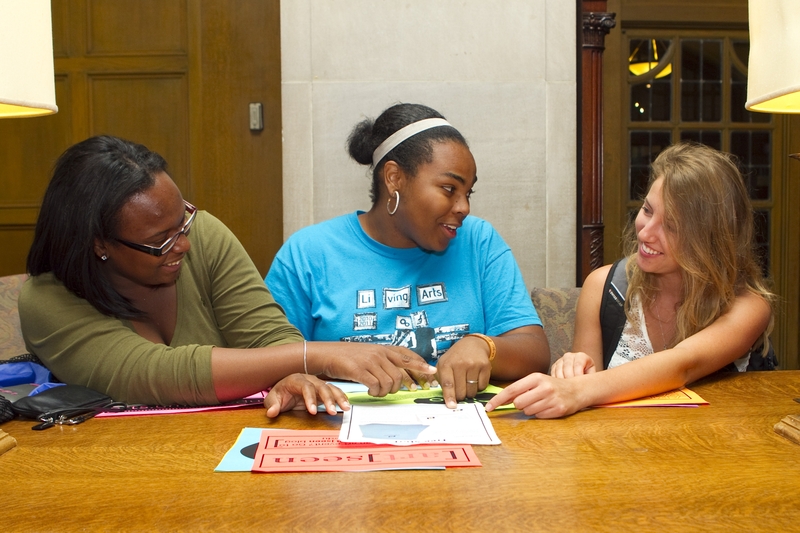 OSCR staff members and student volunteers help U of M students learn how to effectively address and resolve conflict. OSCR can guide students through many different conflict resolution pathways, including coaching (face to face, via calls or texting), facilitated conversations, meditation, shuttle diplomacy, and even restorative justice models. Many conflicts arise from unshared or silent expectations… When not addressed right away, the anxiety builds. Students often may be thinking, ‘I’m just going to hope for the best’ (and hope it goes away), but without communication that hope is in vain, as the other person is unaware of the impact of their behavior and will keep on doing it. OSCR also has opportunities for Michigan students to learn and practice conflict resolution on behalf of others. It's a great way to apply their values and learn lifelong, marketable skills. OSCR employs students as peer facilitators - that means the entire campus community benefits from OSCR's student volunteers who serve as arbiters, mediators, advisory board members, and campus ambassadors! It’s also important to know that employers indicate they are seeking grads with concrete problem solving, interpersonal, and negotiation skills – the very skills students can develop through engaging in difficult conversations to resolve their own interpersonal conflicts. These skills need to be practiced, and you can support your student to develop them! So if you find yourself hearing about a roommate who just won’t listen or a classmate who hasn’t been a responsible team member – consider encouraging your student to come to OSCR where they’re empowered to find conflict resolution pathways that work for them. And by the way, whether you yourself deal with conflict with an “A,” “B,” “C,” or “D” style – you might be interested in OSCR Tips & Tools for constructive conflict resolution!